Even if a mobile app is not being actively used, informing users of developments on the app with push notification campaigns messages are becoming more important every day. Because there is a rapid evolution of technologies that vibrated when an e-mail has been received, to the ones that are on smart televisions and even wearable devices. The companies also need to position themselves correctly and take the necessary steps quickly to channel the users who have got accustomed to such conveniences. So, how can effective campaigns be formed for mobile apps with the help of push notification messages? How To Create A Successful Push Notifications Campaign? Whatever sector may the company owning the mobile app active in, push notification messages with a time limit will be more efficient for you. For example, if you have an app for your e-commerce site, you can announce an offer that will expire at the end of the day to your followers with a notification message. Even if your users did not have the app running at that time, they can still see it and may want to make use of your offer. This type of notifications may only make one think of e-commerce. However, it is possible to make use of them for informing the users about a special offer or a free trial version by all companies that have a mobile app. The purpose of a push notification message should be reaching people who do not use the app too and to inform them of the special offer. Though, it is highly important not to overuse them. Because, according to surveys, users who don’t like the notifications, with a sizable rate of 78 percent, may prefer just to delete the notification, or worse, the app itself. To get the best results, you may use multiple marketing tactics that are well coordinated with each other. Join the Free mobile app reseller program and start making money with mobile apps. 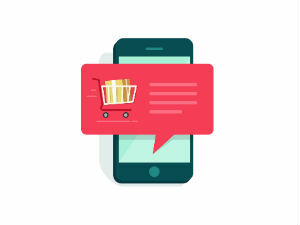 Whether the app’s category be m-commerce or content publishing, it needs to be remembered that keeping the loyalty of users is as important as forming a connection with them. Right on this juncture, to ensure the users are happy with the app and won’t be removing it from their devices, it is highly beneficial to make use of push notification messages. For example, if you are active in the tourism sector, you can send a notification about a special discount offer for their next booking to a user who has just used your app to book a holiday. Quick consumption of everything, and this becoming a lifestyle, certainly reflects on the mobile apps too. Some users may get bored of the app’s they have liked and downloaded after a while. It is possible to prevent this with well-planned push notification messages that will channel users to become active with the app again. Using tips that trigger curiosity in the notification may lead to obtaining effective results. Thanks to the mobile apps, companies can reach their users anywhere, and anytime. Because, with the help of user’s location data, bridges between digital and real worlds can be formed easily. For example, a user who is shopping in a store can be informed of discounts and special offers about products near their position. However, it should be remembered that to ensure efficiency of these notifications and prevent them from being disturbing for users, they need to personalized as much as possible. To this end, it may be helpful to analyze not only the location of the users but also their interests and previous usage habits. When used correctly, push notification campaigns messages can help with strengthening the bond between the user and the app. For this, it is important to analyze the user data well and plan accordingly. If you want to send notifications to users with your mobile app and inform them of various developments, you may get support from MobiRoller. Create your MobiRoller account right away, and meet mobile users immediately.